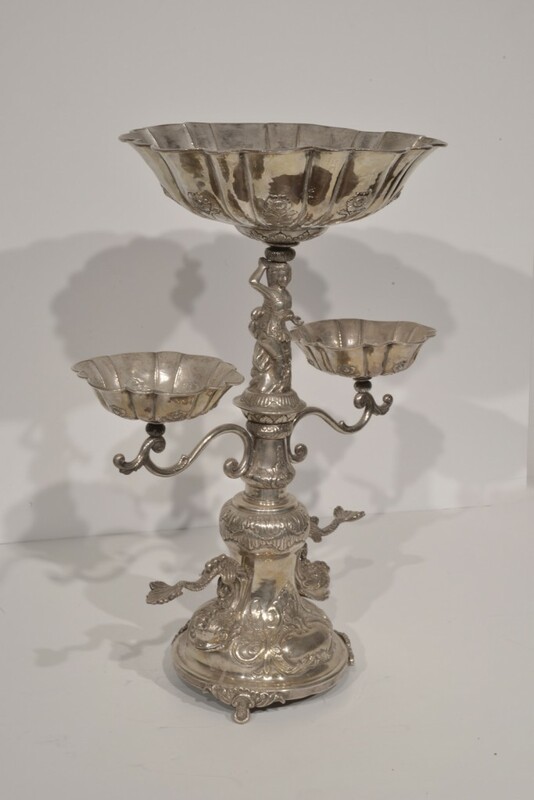 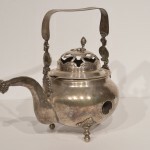 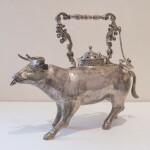 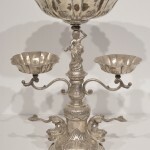 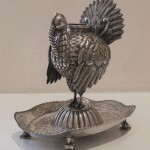 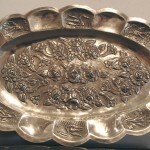 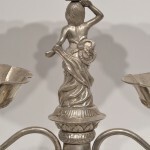 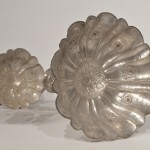 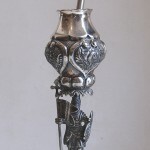 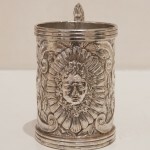 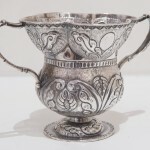 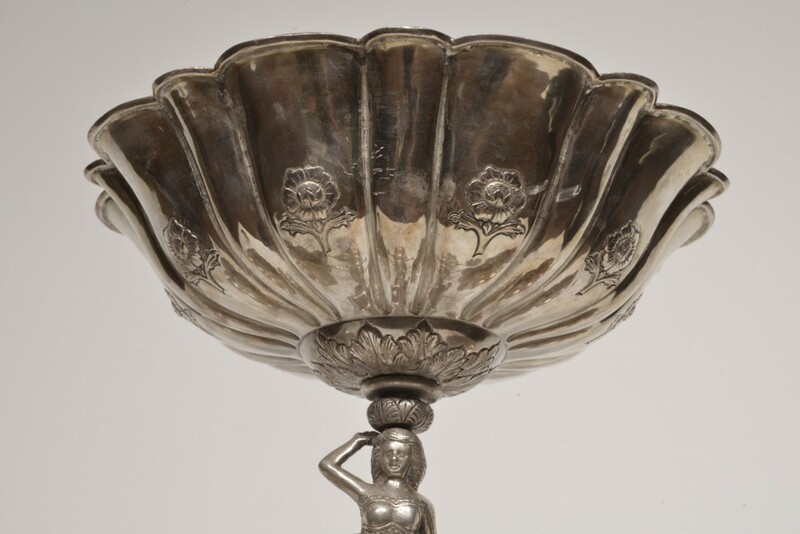 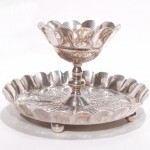 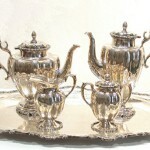 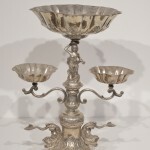 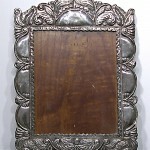 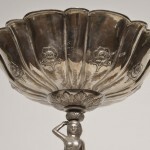 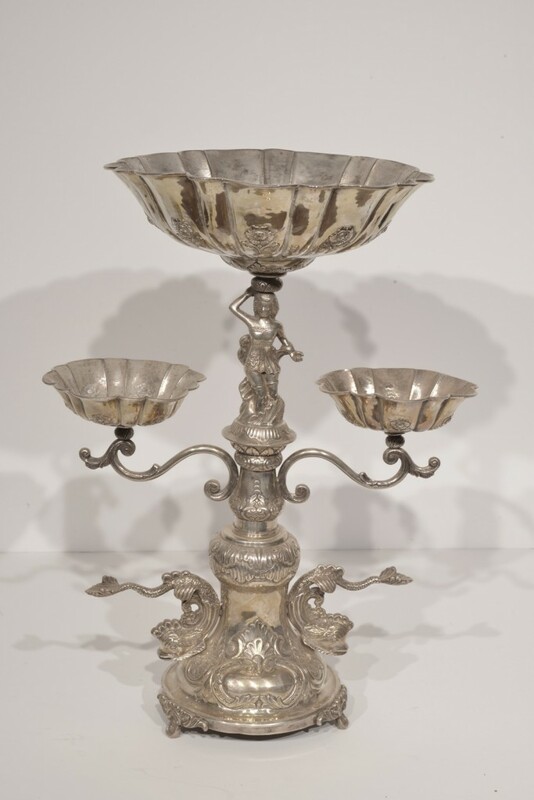 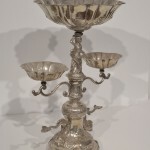 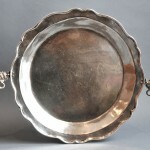 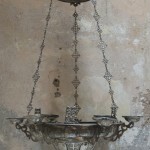 Silver Epergne from early twentieth century Bolivia. 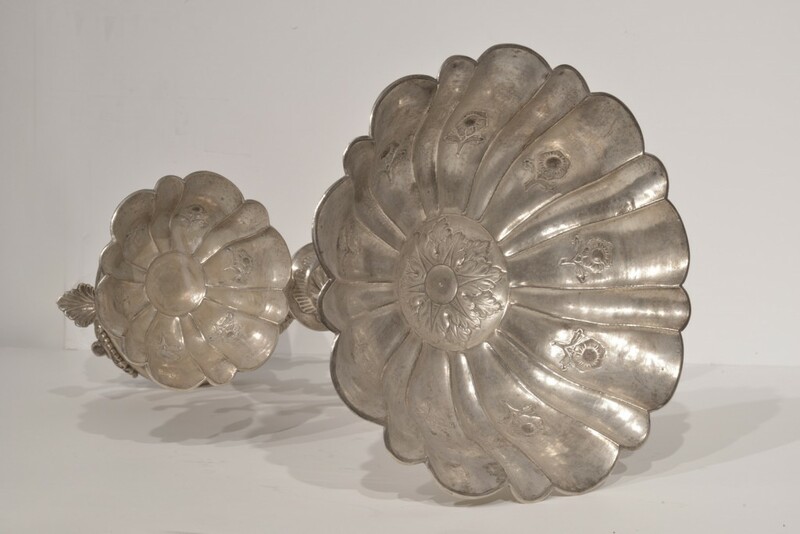 Two side shell trays held aloft by delicately undulating stem-like supports. 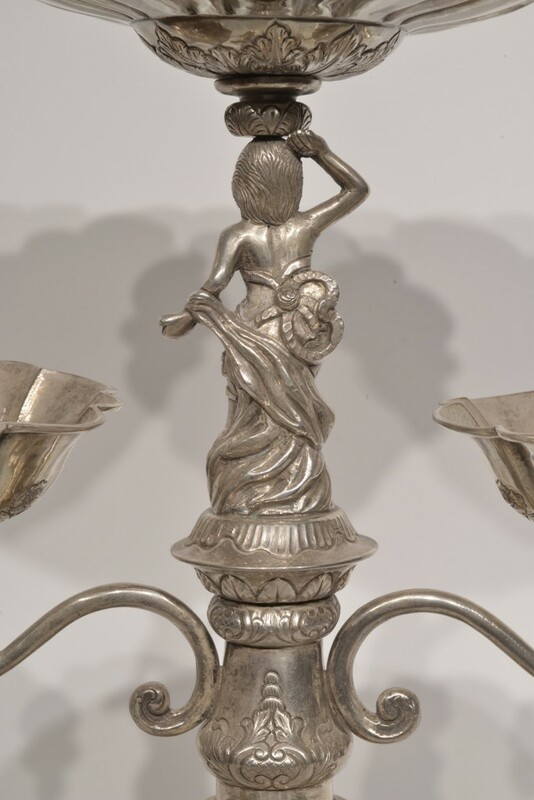 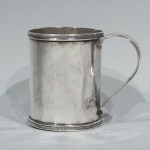 The center stem features a figurine of a woman, who holds the top central tray with her right arm. 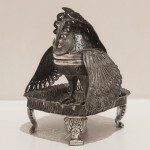 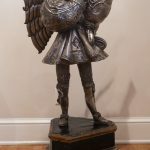 The work is mounted on a silver footed plinth. 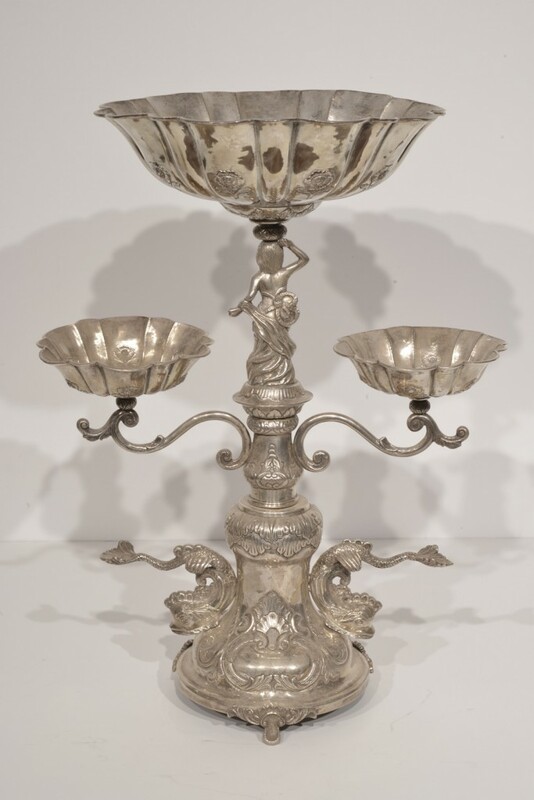 Two fish-like creatures sprout from the epergne's base, covered with floral and foliate designs.